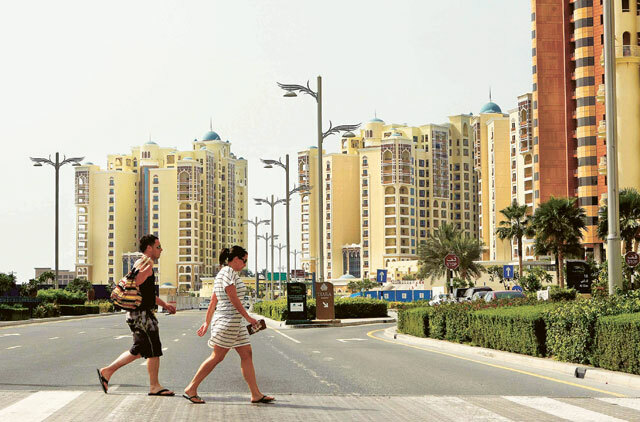 Dubai Nakheel clarified its position on blocking car park access by tenants of the Shoreline Apartments on Palm Jumeirah, in reaction to media reports that it has been denying tenants access to car parks due to their landlords' failure to pay service charges. "Control and regulation of the Shoreline car parks is essential for the protection, security, safety and wellbeing of residents. Car parks are not part of the sales agreement," a Nakheel spokesperson said. "We have the right to regulate car park access and will take all legal steps to do so. Owners who have paid their service charges and collected their cards have nothing to worry about. However, as we have said many times before, people who have paid their service fees cannot be expected to continue to subsidise those who have not. "Long-term tenants at the Shorelines are urged to remind landlords to arrange for new access cards." Recently, some tenants have alleged that their access to the parking lot have been blocked as their landlords have not paid the service charges. Nakheel was earlier accused by its property buyers and tenants of blocking beach access — which was later resolved. "Nobody has been stopped from entering the car parks. We are simply urging owners and long- term tenants at Shoreline Buildings 1 and 2 to collect their new parking access cards in order to pass through the new automatic barriers that have been installed in these buildings. "Nakheel has been transparent and considerate in communicating the need for these new cards. We published notices in Buildings 1 and 2 more than a month ago, to give residents time to collect their new cards and get used to the new system. "People who have collected their cards are now able to access the car park via the new automatic system. "Those who haven't are being let in by the security teams, who are at the same time reminding residents that they need to collect their cards."